It's finally here! I am pleased to share that enrollment is open for Tending the Soul: A Women's Circle. Each 90 minute session will begin with a guided meditation, then we'll move into our work within the circle... there will be a different theme to guide the exploration each week. Finally, we'll seal our practice with 30 minutes of restorative yoga. Click here for all of the details. Women's Circles are thousands of years old and used to be a regular part of life. Unfortunately, for many of us, this sacred space has disappeared and has been replaced with a host of cultural norms and practices that leave us feeling isolated and depleted. Circles have the power to incite bold transformation—woman by woman. A circle is everyday ceremony. 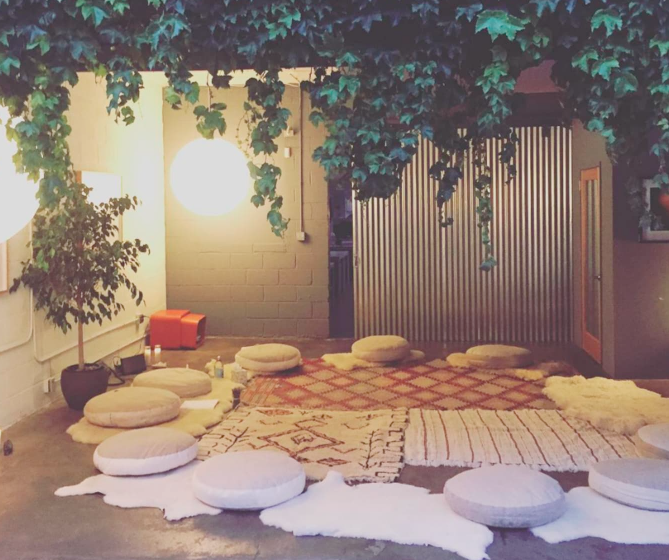 It is a gathering where women sit in a circle and pursue deeply authentic conversation, made possible by honoring specific principles that foster listening to and learning from every person. A women’s circle is a safe space for women to use their voices, be heard, be seen, and bear witness. The gatherings help women harness their strengths. Considering the realities of our current political environment, women need inner strength and tight-knit community more than ever. Our circle will have 12 meetings, lasting 90 minutes. Meetings will be held on Wednesday evenings from 7:30-9:00 pm, March 7th-May 23rd. We'll meet in the serene Delta Mind Body holistic wellness center located at 2014 10th Street, Sacramento, CA 95818. Perhaps recent events have sparked a hunger for a safe space to explore how you can more intentionally create your life. You’re wanting to learn more about meditation and your own spirituality. You are curious about your intuition and want to pursue a journey into deeper self understanding with like minded women. You’re experiencing a difficult time of growth or transition and need the wisdom of community to support your growth. You’ve needed some time for self care and restoration and have had difficulty carving out time for this work due to family or other life pressures. You want to learn more about your authentic self and allow yourself to be experienced by others. You would benefit from learning how to be with your experiences with less judgment and more compassion. You experience anxiety and would like to learn how to soothe your body and center your mind. You want 2018 to be the year you make bold changes and you need a place to plant seeds of change and nurture their growth. I love the magic that unfolds in a group of vulnerable and empowered women. There's truly nothing like it. I'd be honored to join you on your journey to deeper self-understanding as we also build stronger communities, one circle at a time. Join us! Reach out and let me know that you'd like for me to reserve a spot for you. This group is expected to reach capacity. Click here for all of the details.